25. Junior Mining – Are People Still Investing? - KJ Kuchling Consulting Ltd.
Update: This blog was originally written in June 2015, however many of the observations made then still hold in late 2018. The general consensus over the last couple of years is that the junior mining sector is still in a state of flux. I briefly touched on this in a previous article “12. Financings – It Helps to Have a Credible Path Forward”. It is still difficult for junior miners to get funding and the stock prices of have been on a downward trend. Some observers say this just a temporary phase and the stock prices will cycle, as they have in the past. I’m not convinced that this will be the case, although I am hoping. Metal prices may recover, but will stock prices? I am reasonably confident that metal prices will improve over time, but I am not sure that alone will result in the junior mining sector invigorating. I think there is a long term shift in how personal investments are being made and how the mining industry is being viewed. The following blog has some personal opinions on the present and the future. Mining companies are constantly in the media with stories of cost over-runs, mine shutdowns, fatalities, strikes & protests, and environmental incidents. In addition, the junior mining sector has had a few notable scams that nobody ever forgets about. In some instances management were over promoting sub-optimal projects simply for the purpose of raising the stock price and cashing out. Not many companies fell into this category, but enough to create an unfavorable image of the industry. I think it will take time to recover from the image being created by the events described above. Unfortunately new incidents only build on the perceived legacy. 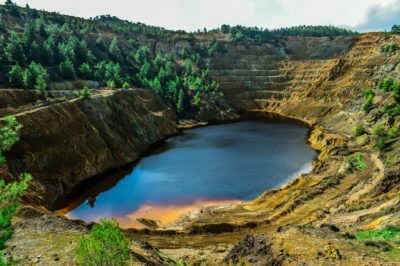 The implementation of sustainable and green mining practices is an attempt to rehabilitate the image of mining, but is anyone out there listening? Yield Investors: When many of us baby boomers were younger with a steady job, we were willing to speculate on the mining stocks hoping for the big payoff. At the time there were some well publicized payoffs. Also there wasn’t much else to speculate on. Now those same baby boomers are moving into retirement and financial planners are push them into fixed income and dividend paying investments. Be happy with a 2% to 5% yield. The risk tolerance for many of these investors has shifted from speculation / growth to income / capital retention. I’m not sure how many of these people will ever re-enter the mining stock market. The majority of miners don’t pay any significant yield. Looking at the yield for Barrick (2%), Goldcorp (0.8%), and Yamana (0.85%), their yields are lower than those for the more conservative bank stocks (4%-6%). Where to speculate now? Where might the 30 to 40 year old’s speculate today? Younger people today may still speculate with their free cash, but they are not hoping to be investors in the next Voisey’s Bay, Kidd Creek, or Hemlo. They have never even heard of them. They are hoping to be investors in the next Apple, Google, or Facebook. The dot.com bubble of 1999–2000 were case of junior mining speculators jumping into technology. It was a bust. However currently several of the new breed of dot.com companies that have IPO’d are getting huge share price increases. Is it still a tech bubble? Not so much anymore. I don’t know whether the younger speculators will ever have interest in the mining sector since they never heard of it. There is so much other investing activity happening out there. The perception of mining: The mining and energy news shown in the media is not helping the industry by focusing mainly on the negative aspects. The resource business appears to be somewhat analogous to the meat industry. Everyone likes their nicely packaged rows of chicken and beef at the grocery store but nobody wants to see how it actually gets to the store. Everyone also loves their metallic gadgets and the energy used to power them, but please don’t show how it actually gets from mine to store shelf. It can be quite upsetting. 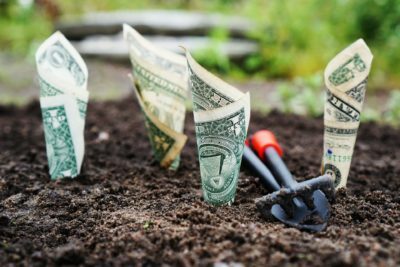 Can mining companies provide more yield? An interesting group of companies are the mid tier producers that have operating mines and generate profits, but do not pay a dividend. I will be curious to see how these companies shares will perform since they don’t satisfy the yield investor nor may they satisfy the pure speculator looking for order of magnitude capital gains. The larger mining companies will always have their investors like pension funds and mutual funds, however the junior miners may be a different story. Possibly private equity and equity-based crowdfunding will be one of the long term solutions. I have heard of one geological consulting firm that was trying to foster a plan to help crowdfunders with their 43-101 report even though they don’t yet have the money to pay for the report. I also understand that Canada now has a few private equity stock exchanges that allow PE to change hands, which may facilitate more private equity involvement. The bottom line is the mining industry needs to have a self-examination with respect to what the future holds. The changing population demographics, competition for equity funding, and society’s urbanization may result in fundamental, and permanent, changes to how the financial side of the junior mining industry can function. Just my opinion. Tagged: Cashflow Model, Mine Engineering, Mining. What has also changed is how seniors do exploration. Back in the Hemlo days (I worked there, and I worked at Kidd) the seniors all had large exploration groups and a lot of plays. That system is gone and has been replaced by the juniors who fund grassroots stuff and then vend it to the seniors like Rosemont did to Hudbay. As long as prices rise it means demand is increasing, and that is a good sign for the juniors. If I was a senior miner, I would like that system. Let me spend my money on actual development of mines and let the juniors handle the high risk aspect of exploration. If they find something that fits my project portfolio, then I buy them out. However this system requires a source of funds for the juniors and that funding seems to be drying up these days. Private equity can fill some of the gap but probably not all of it. Yes, the funds have dried up. I’ve been told there is money out there for good prospects, but it’s expensive money. As for equity offerings…forget it for now. But I am pretty sure this is part of the cycle and it will turn around when metal markets turn around.